If you know your way around quality outdoor gear, and could spend the entire day surrounded by gear and sporting goods and outdoor equipment, then you might be interested in this green business idea. Starting an outdoor gear consignment shop can help to not only give gently-used equipment a second life (while reducing the demand for new gear), but to also enable those with a tighter budget to get into the gear they need to enjoy the outdoors. 1. What is an outdoor gear consignment shop? Consignment shops take gently used goods from some customers and sell them to others. The revenues from the sale are split between the store and the customer who originally owned the product. In this way, consignment shops give another life to products that might otherwise go to a landfill. One of the very attractive aspects of running a consignment store is that your entire inventory costs you nothing. You do not pay the owner of the article until it has sold – in other words, until you have money in your hand for exactly that item. You are simply providing the marketplace for buyers and sellers of gently used items. Consignment, resale and thrift shops number in the 25,000 range in the U.S. alone. The combined industry value is roughly $1.5 Billion, and the industry represents a real opportunity for shoestring startup entrepreneurs who have a passion around a particular hobby or lifestyle such as fashion, games, sports, etc. One of the best models for a consignment shop is the gently-used outdoor gear store. 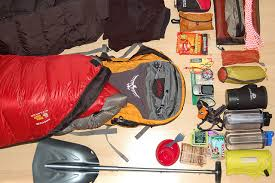 Many people buy expensive outdoor gear, be it backpacking equipment, kayaks, canoes, travel gear, bikes, hiking boots, etc., and use them ONCE. They have the best of intentions – if they buy the best, so the logic goes, maybe they’ll get into the sport and really enjoy it. Then they don’t really enjoy it, and then they have some fantastic gear that needs a second home. There are no formal educational or training requirements for this job. However, the work is strenuous and requires that the worker be able to be on their feet for extended periods of time, be well-organized, a good ‘people person’, and be able to lift up to 50 pounds. It helps to be able to attractively display and have knowledge of the value of the various items of outdoor gear in your consignment store. $ (on a scale of $ to $$$$$) If you and your friends or family already have a good amount of used gear to sell, you might only need to rent a small retail space, price the items, and open your doors. If you want to add to the amount of stock you have on hand before you open, garage sales and thrift stores can be a great place to pick up consignment items, assuming you can identify high-quality items and negotiate for low purchase prices on them. $$-$$$ (on a scale of $ to $$$$$) The income potential for this type of consignment shop is variable, but by insisting on only stocking well-made products and knowing the best price for them, as well as by selling a fair amount of items you’ve sourced yourself, you can grow your profits over time. 5. What is the best location for an outdoor gear consignment shop? Urban (very good), semi-urban (best), suburbs (very good), rural (fair/poor). Do you like to spend every free day out in the woods, on the water, on a bike, or exploring a new trail? Do you have solid retail experience so that you know how to organize a store and the basics of retailing like complementary positioning and sales? Do you and your friends/family have a pile of used outdoor gear that you can use as your initial inventory for your grand opening?